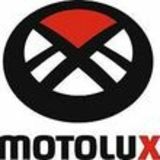 Motolux is wholesaler and manufacturer of Highway Hawk and Ledrie accessories. With 8 dealer direct countries and 24 importers we are globally present in the motorcycle industry. Highway Hawk is a quality brand of aftermarket motorcycle accessories for choppers and cruisers. We make beautiful chrome products for customizing your Harley, Honda, Suzuki, Yamaha or Kawasaki. Check out our publications and our website. We help make your bike beautiful! Ledrie is a quality brand of local made saddlebags. Real leather and Dutch craftsmenship are used to get the best product you can accessorize your bike with.